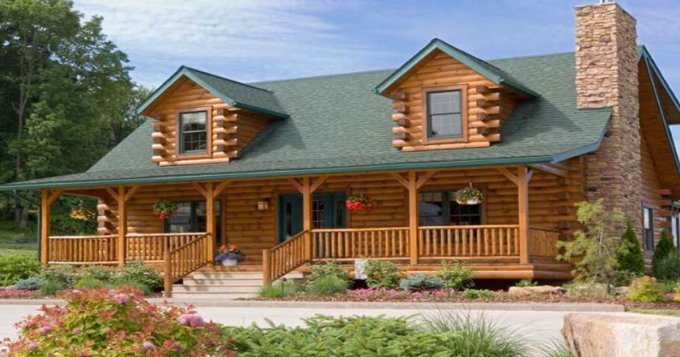 This classic log home design features all the best elements of a traditional log home that stand the test of time, with a floor plan which works perfectly. 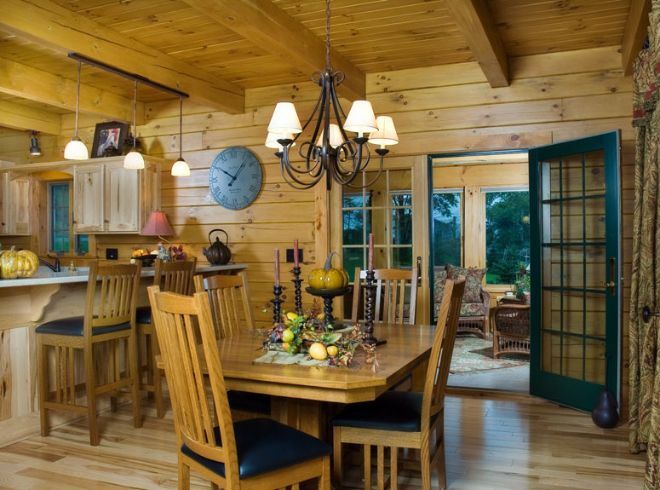 With a rustic and functional living space which is designed to capture the natural surroundings, this log home design is popular for a simple reason: it works very well. Built by Hochstetler Milling, The Mckay features three bedrooms and two-and-one-half bathrooms. The gabled dormers in the roof capture plenty of natural light. 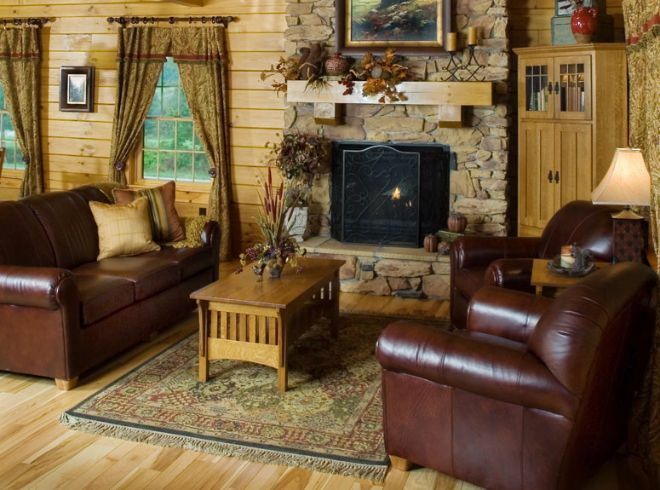 Rustic charm with a stone fireplace make for cozy living.